Dennis Rodman might go to Singapore. Here’s the story of his friendship with Kim Jong Un. When President Trump and North Korean leader Kim Jong Un meet in Singapore on June 12, a celebrity guest might be present: Dennis Rodman, one of only a few people to have met both Trump and Kim. Rodman’s agent, Chris Volo, who has accompanied the basketball player on four of his five trips to North Korea, said in a phone call with The Washington Post on Wednesday that Rodman “would love to go, but we have a few logistical things” to deal with before the trip can be confirmed. “I strongly believe they would be very happy if Dennis was there for moral support,” Volo said. Rodman first visited the isolated state in early 2013 on a trip with members of the Harlem Globetrotters. He returned two more times that year, once in September — when he said he even had the chance to hold Kim’s baby daughter — and again in December, when he put together a team of North Korean basketball players for an exhibition game for Kim's birthday. The game happened in January 2014 and featured North Koreans and former NBA players. Rodman later apologized for the remarks and said in a statement to the Associated Press that he had been drinking and feared his “dreams of basketball diplomacy was quickly falling apart.” Bae ended up being released later that year. His visit coincided with North Korea releasing Otto Warmbier, a 22-year-old college student who was arrested in Pyongyang in 2016 on charges of trying to steal a propaganda banner. Warmbier was medically evacuated from North Korea and returned home with severe brain damage. He died a few days later. The Kim family’s NBA obsession long predates Rodman’s visits to the country. Eighteen years ago, at the end of an official visit to North Korea, then-Secretary of State Madeleine K. Albright brought an unexpected gift, proffering a basketball signed by Michael Jordan for Kim Jong Il, Kim Jong Un’s father. 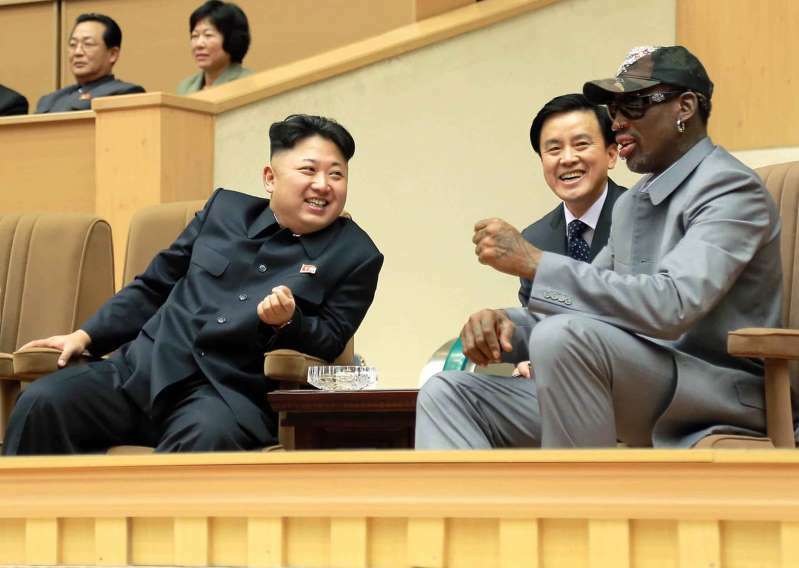 Rodman has flip-flopped on what exactly his self-described “basketball diplomacy” means, at some points implying he might discuss politics with Kim and at others insisting the relationship is lighthearted and apolitical. World - U.S. Daily News: Dennis Rodman might go to Singapore. Here’s the story of his friendship with Kim Jong Un.